Double the value – 4L will make 8L of Bitumen Paint! Bitumen Rubber is a versatile solvent free liquid membrane that can be used as a Bitumen Polymer Membrane or used as a cost effective Bitumen Paint for general applications. 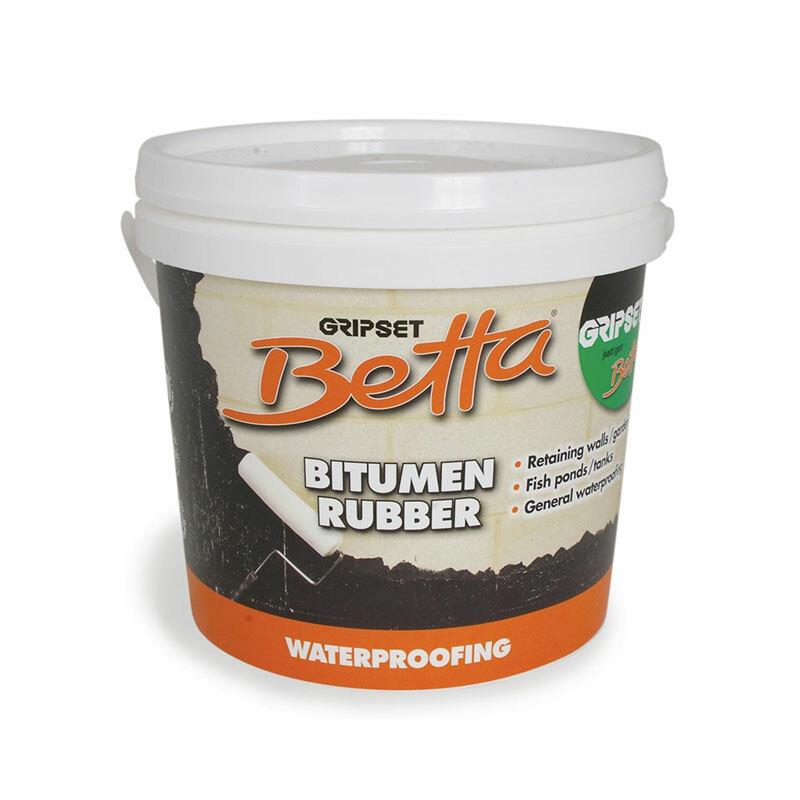 Suitable on concrete, masonry, brick, timber, cement sheeting, metals, aged bitumen and other building surfaces. As a high quality Bitumen Rubber membrane, this product can simply be diluted with water on a 1:1 ratio to form a cost effective quality Bitumen Paint for use in areas where a membrane is not required, making this the smart choice as a 2 in 1 product for trade and general applications. Surfaces must be prepared thoroughly before commencing. Surfaces are to be sound, stable, dry and clean, free of loose foreign matter including any surface residues or existing coatings. Buildings are to be constructed to relevant building standards and manufacturer’s recommendations are to be followed for all building materials used. A minimum of 2 coats is to be applied at a total minimum coverage of 1.5 Litre/m², to form a dried film thickness of approx 1.2mm. For immersed areas, a minimum coverage of 2 Litres/m² is required. Apply subsequent coats at different directions to the previous coat. Coverage is dependent upon surface condition; greater coverage may be required on uneven and porous surfaces. Apply by roller, brush, trowel or spray unit. * Based on normal ambient conditions of 20ºC. Temperature, humidity and porosity will vary dry times. Note – For potable water applications, wash down surface and remove first water before using for drinking purposes. In water while wet. Once product is dried it needs to be removed mechanically or by solvent.